Summer days in this picturesque 1950s village are always bustling with activity. 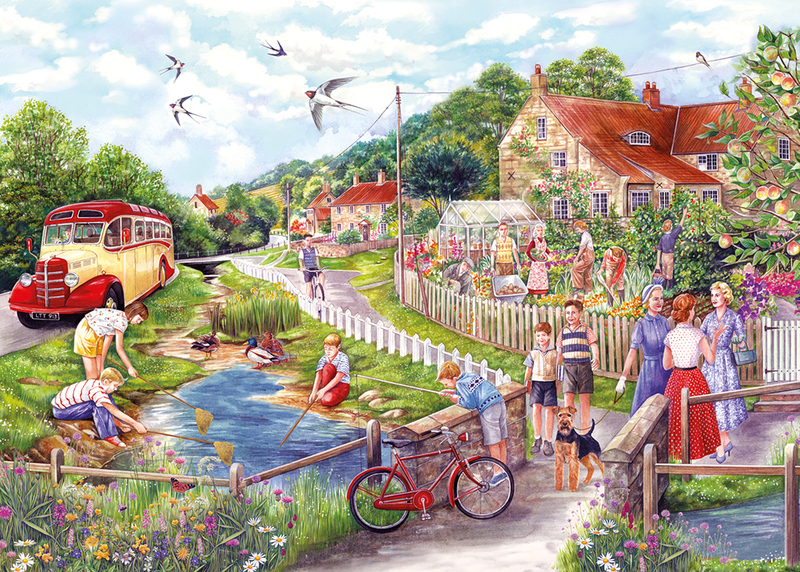 Fishing in the stream, harvesting vegetables in the garden, and nattering with friends are the order of the day in this cheerful scene. Fiona was born in Kent and has enjoyed capturing the beauty of the natural world from a very young age. 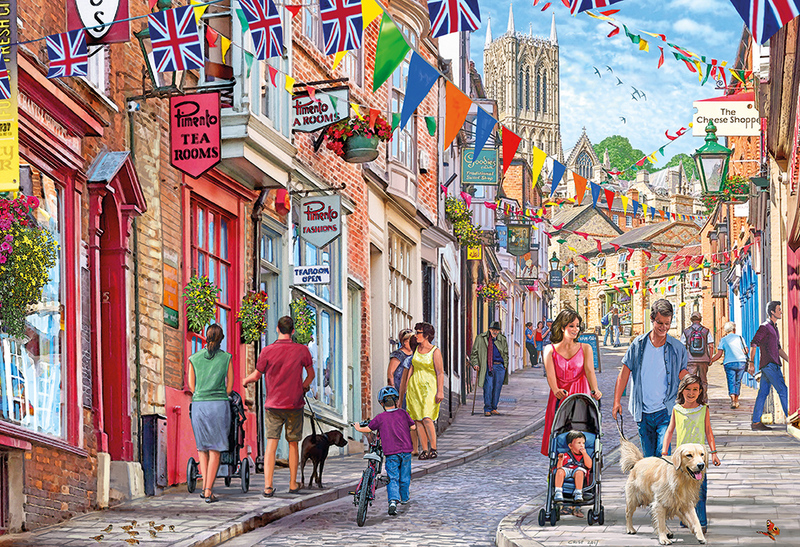 Originally inspired by the works of David Shepherd and Norman Rockwell for their level of detail, Fiona works in watercolour to create realistic scenes that are often filled with the hubbub of everyday life.